TRY ONE OF OUR WORLD CLASS CRAFT BEERS TODAY. YOU CAN FIND THEM ON THE SHELVES OF RESPECTED CRAFT BEER SPOTS IN PA AND NY, OR TRY THEM IN OUR RESTAURANT. OUR BRAND NEW, DRY-HOPPED SOUR ALE IS AVAILABLE IN 22OZ BOTTLES & ON DRAFT AT THE BREWERY/RESTAURANT AND WILL BE AVAILABLE VIA DISTRIBUTORS IN PENNSYLVANIA AND NEW YORK IN JANUARY 2015! 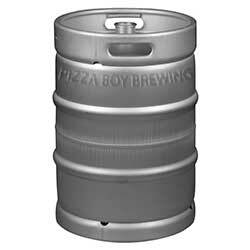 MANY OF OUR PIZZA BOY BEERS ARE NOW AVAILABLE IN 32OZ CROWLERS AT OUR RESTAURANT. 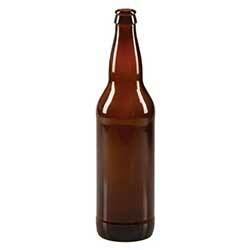 KEEP OUR BEER FRESH, CONVENIENT AND ENVIRONMENTALLY CONSCIOUS. AVAILABLE ON-SITE AT OUR BREWERY/RESTAURANT AND IN LIMITED DISTRIBUTION THROUGHOUT PENNSYLVANIA AND NEW YORK, WE BREW A DIVERSE RANGE OF BEERS IN THE HOPES THAT THERE IS SOMETHING FOR EVERYONE. FROM SUPER-HOPPED IPA'S TO COFFEE INFUSED STOUTS TO BARREL-AGED SOURS, WE'RE SURE YOU CAN FIND SOMETHING THAT FITS YOUR PALATE. WE STRIVE FOR CONSISTENCY AND QUALITY BUT STILL FIND OPPORTUNITIES TO INNOVATE AND EXPERIMENT. THESE ARE OUR STAPLES, AND WE'RE PROUD OF THEM. LOOK FOR THESE ON TAP IN OUR BREWERY/RESTAURANT. YOU'LL FIND SOME OF THESE DISTRIBUTED IN BOTTLES AND KEGS THROUGHOUT PENNSYLVANIA AND NEW YORK. BEWARE IF YOU HAVE A WHEAT ALLERGY! THIS IS A WHEAT BASED IPA HOPPED WITH CENTENNIAL AND BRAVO HOPS. A REFRESHING AMERICAN WHEAT BEER BREWED WITH APRICOTS AND LIGHTLY HOPPED WITH AMARILLO HOPS. A CLASSIC PALE ALE BREWED WITH AMARILLO HOPS AND FINISHED WITH A SPRINKLE OF CITRA HOPS. A CREAMY MILK PORTER AGED ON FRESH VANILLA BEANS. A SOFT AND MALTY GERMAN HELLES LAGER WITH A LEMON-LIKE SAPHIR HOP PUNCH. AN EXTRA HOPPY BELGIAN INSPIRED IPA. A BLONDE IPA LOADED WITH CITRA HOPS. A GERMAN-STYLED PILSNER HOPPED ENTIRELY WITH CITRA HOPS. THIS CREAM ALE WAS FERMENTED WITH BLACKBERRIES AND HAD CINNAMON STICKS ADDED. THIS BEER IS OUR QUEST TO BREW PERFECT ANYTIME IPA...LIGHT, BRIGHT, CLEAN AND CITRUSY. A BELGIAN-STYLED GRISETTE WITH A LEAN BODY, PEPPERY SPICE AND PEAR-LIKE FRUITINESS. A GOLDEN DOUBLE IPA BREWED WITH CITRA AND SIMCOE HOPS. BREWED TO BENEFIT REBUILD BLOOMSBURG SKATEPARK. AN IPA BREWED AND DRY HOPPED EXCLUSIVELY WITH GALAXY HOPS. A DRY, SPICY FARMHOUSE ALE WITH A FLOWERY FINISH. BREWED WITH CHINOOK HOPS. A CLASSIC AMERICAN AMBER LAGER. MALTY, CLEAN AND SIMPLE. ALL PROCEEDS WILL BE DONATED TO THE HAMPDEN TOWNSHIP VETERAN RECOGNITION COMMITTEE, VETERANS FREEDOM PARK FUNDRAISING EFFORT. MOSAIC WET-HOPPED SOUR GRISETTE. DELICIOUS AND REFRESHING. HAZLETON NATIVE IPA FERMENTED WITH HOUSE SAISON YEAST. AN AMERICAN WHEAT BEER BREWED USING NO HOPS IN THE KETTLE, ONLY WHOLE LEAF COLUMBUS HOPS IN THE WHIRLPOOL...AND A LOT OF THEM. THIS BAD BOY TESTED AT 77 IBU'S! NOW THAT'S EFFICIENCY! FARMHOUSE TRIPEL AGED ATOP 600LBS OF HONEY CRISP APPLES. WE WANTED TO MAKE A DIFFERENT HARVEST ALE BESIDES A FRESH HOP IPA SO WE DECIDED TO DO SOMETHING STRANGE. THIS IS A SOUR ALE FERMENTED ON BLUSH GRAPES FROM THE VINEYARD AT HERSHEY. WE THEN DRY HOPPED IT WITH LOCALLY GROWN CASCADE HOPS FROM SOUTH MOUNTAIN HOPS AND ALSO CENTENNIAL HOPS. ANOTHER VERSION OF HOPTART FERMENTED ON TOP CHARDONNAY GRAPE MUST AND DRY HOPPED WITH CITRA, ITS QUITE SOUR AND DELICIOUS. ANOTHER ITERATION. THIS TIME A DEEP GOLDEN SOUR FERMENTED WITH FRESH PRESSED FRENCH COLOMBARD GRAPE MUST THEN DRY HOPPED WITH DRIED HIBISCUS FLOWERS, CITRA AND GALAXY HOPS. A SIMPLE, DELICIOUSLY MALTY AMBER ALE. AN ALL GERMAN SAFIR HOPPED WHITE IPA. CITRUSY, MELON-LIKE AND FLOWERY. A BRIGHT, BELGIAN-INSPIRED WITBIER BREWED WITH RAW WHEAT, OATS, OUR HOUSE SAISON YEAST, CORIANDER, SWEET ORANGE PEEL AND HOPPED LIGHTLY WITH SIMCOE HOPS. A RED IPA BREWED EXCLUSIVELY WITH EXPERIMENTAL HOP #05256. DANK, EARTHY AND CITRUSY. A BLACK, SOUR ALE DRY HOPPED WITH SIMCOE. A DOUBLE IPA BREWED WITH A RIDICULOUS BLEND OF HOPS FEATURING FALCONERS FLIGHT 7C'S, CENTENNIAL, CHINOOK, BRAVO, GALAXY, SIMCOE AND EXPERIMENTAL HOP #05256. BREWED WITH FALCONERS FLIGHT, CHINOOK AND CITRA HOPS. STARTS WITH A CARAMEL-LIKE, FRUITY BODY AND FINISHES CRISP, DRY AND HOPPY. AMERICAN WILD ALE FERMENTED WITH BLUEBERRIES. A BRIGHT AND SPICY RYE IPA LOADED WITH CHINOOK, CITRA AND SIMCOE HOPS. A SPICY RYE BEER, AMBER IN COLOR AND BREWED EXCLUSIVELY WITH SIMCOE HOPS. BARREL FERMENTED FLANDERS RED ALE WITH TART CHERRIES, AGED FOR ALMOST A YEAR! A PALE ALE INFUSED WITH FRESH CUT JALAPEÑOS AND LIMES. A TRADITIONAL GERMAN-STYLED WHEAT BEER WITH NOTES OF BANANA AND CLOVES. FRESH HOPS USED IN BREWING HOPGASM LEFT TO SIT 1 WEEK AFTER KEGGING HOPGASM AND THEN DRAINED IN FIRKIN = STRAIGHT UP HOP JUICE. OUR RICH, SMOOTH OATMEAL IMPERIAL STOUT BRIMMING WITH LOCALLY SOURCED COFFEE FROM LITTLE AMPS IN HARRISBURG. 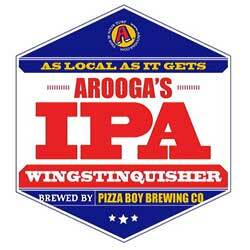 AN IPA BREWED WITH NEARLY 200 POUNDS OF PEACHES AND SEASONED WITH CITRA, CHINOOK AND NELSON SAUVIN HOPS. A LIGHT, 2.8% LAWNMOWER BEER HOPPED UP WITH CITRA HOPS. LIKE WATER BUT BETTER. A DARK CREAM ALE INFUSED WITH 50 LBS OF TOASTED COCONUT AND 10 LBS OF COCOA. SPICY YEAST, CITRUS RINDS, AND AN EARTHINESS REMINISCENT OF CINNAMON ROUND OUT THIS BELGIAN-INSPIRED PALE ALE. HOPPED WITH SAPHIR, CITRA AND CHINOOK HOPS. A WEST COAST STYLE IPA, OVER-THE-TOP HOPPY AND OH SO DRY. HOPPED WITH SIMCOE, COLUMBUS AND A TOUCH OF CITRA. YOU'LL ALWAYS SEE SOME OF OUR LIMITED RELEASES AVAILABLE FOR IN-HOUSE CONSUMPTION, AND WE TRY TO RELEASE BOTTLES FOR TAKE OUT SOMEWHAT REGULARLY. SOME OF THE BEERS HERE WILL RELEASE AGAIN, SOME MAY NOT. WE ALWAYS HAVE SOMETHING AGING IN OUR BARRELS, AND WHEN SOMETHING FEELS READY, WE'LL BOTTLE IT AND YOU'LL SEE IT HERE. THE BASE BEER FOR OUR ABASCIO-CELL SERIES OF BARREL FERMENTED WINE GRAPE SOURS. PALE GOLDEN IN COLOR AND LOADED WITH WOODY, WHITE WINE BARREL CHARACTER AND A BRIGHT LEMON ACCENTED ACIDITY. OUR BASE ABASCIO-CELL BARREL FERMENTED WITH BLUSH GRAPES. OUR BASE ABASCIO-CELL BARREL FERMENTED WITH COLOMBARD GRAPES. OUR BASE ABASCIO-CELL BARREL FERMENTED WITH MIXED GRAPES (BLUSH, COLOMBARD, PINOT GRIGIO, ZINFANDEL). OUR BASE ABASCIO-CELL BARREL FERMENTED WITH PINOT GRIGIO GRAPES. OUR BASE ABASCIO-CELL BARREL FERMENTED WITH ZINFANDEL GRAPES. 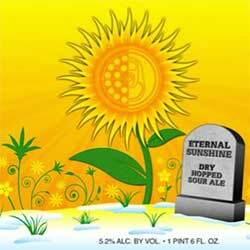 A TART YET HOPPY BERLINER WEISS BREWED EXCLUSIVELY WITH FALCONERS FLIGHT HOPS. AMERICAN WILD ALE AGED ON APRICOTS IN OAK BARRELS. IMPERIAL STOUT AGED ON MINT AND COCOA NIBS. IMPERIAL STOUT AGED ON GUAJILLO CHILI PEPPERS AND COCOA NIBS. AMERICAN WILD ALE WITH CURRANTS AGED IN RED WINE BARRELS. THIS BEER REALLY IS DEUANE'S FAULT. OUR ROYAL TANNIN BOMB! BLUEBERRY SOUR ALE AGED IN A SECOND USE BOURBON BARREL FOR OVER EIGHT MONTHS WITH EVEN MORE BLUEBERRIES. RICHLY FRUITY AND BRACINGLY SOUR WITH A NICE TOUCH OF VANILLA-LIKE OAK AND BOURBON. A GOLDEN BARLYWINE WEIGHING IN AT 11%. WE SPLIT THE BATCH AND AGED 1/2 IN A JACK DANIELS BARREL AND THE OTHER 1/2 IN A JIM BEAM BARREL WITH A PILE OF VANILLA BEANS. AFTER ABOUT SIX MONTHS OF AGING WE THEN BLENDED BOTH BARRELS BACK INTO ONE BEER. REALLY COMPLEX BOURBON AROMA BUT NO BOURBON BURN. A LITTLE SWEET, AND TASTY! AMERICAN WILD ALE AGED IN WHITE WINE BARRELS WITH LEMON ZEST ADDED. THIS IS A COMPLEX BLEND OF TEN BEERS. OUR GRASSLANDS FARMHOUSE ALE AGED WITH TROPICAL FRUIT IN WHITE WINE BARRELS. 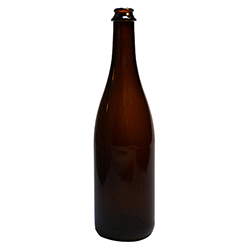 SOUR ALE FERMENTED WITH TANGERINES THEN RE-FERMENTED WITH BRETTANOMYCES IN THE BOTTLE. AMERICAN WILD ALE AGED ON PEACHES IN OAK BARRELS. A WHITE WINE BARREL FERMENTED AMERICAN SOUR ALE AGED WITH APRICOTS. AMERICAN WILD ALE AGED ON PLUMS. CARIBBEAN RUM BARREL AGED WITH ORANGES, CINNAMON STICKS AND A TOUCH OF HABANERO. WE LOVE THE OPPORTUNITY TO COLLABORATE WITH OTHER CRAFT BREWERS, BREW BEERS WITH LOCAL HOMEBREWERS AND PROVIDE CONTRACT BREWING SERVICES FOR LOCAL ESTABLISHMENTS LOOKING TO ADD A QUALITY CRAFT BEER WITH THEIR NAME ON IT. BREWED IN COLLABORATION WITH JEAN-SÉBASTIEN BERNIER OF À L’ABRI DE LA TEMPÊTE FROM THE MAGDALEN ISLANDS, QC, CANADA. A BIÈRE DE GARDE BREWED WITH FIR TIPS, HERRING SMOKED MALT AND ORANGE ZEST. 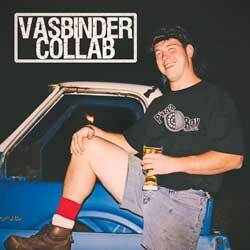 BREWED IN COLLABORATION WITH MATTHEW ALLYN OF VOODOO BREWING COMPANY. THIS BLACK FARMHOUSE ALE WAS AGED IN FRESHLY DUMPED CABERNET WINE BARRELS. HOPPED EXCLUSIVELY WITH FALCONER’S FLIGHT HOPS AND LAGERED FOR NEARLY 5 WEEKS. HUGE PORTER AGED ON COCOA NIBS IN PAPPY VAN WINKLE BOURBON BARRELS. ORIGINALLY BREWED AS JUSTIN AND DANIELLE WISSLER'S WEDDING BEER (WISSLER'S WOOD) AND ALSO AVAILABLE ON DRAFT FOR A LIMITED TIME. CHOCOLATE STOUT WITH A HINT OF VANILLA. BREWED IN COLLABORATION WITH GIN MILL USING WILBUR CHOCOLATE FROM LITITZ, PA AND LOCAL HOPS FROM ROBESONIA, PA.
BLUEBERRY SOUR (ROYAL TANNIN BOMB!) FERMENTED/AGED IN A MIX OF WHITE WINE AND RED WINE BARRELS. ALL PROCEEDS GO TO BENEFIT KEYSTONE JUVENILE DIABETES CAMP. BREWED IN COLLABORATION WITH FIVE LOCAL BREWERIES. A GERMAN-INSPIRED SCHWARZBIER HOPPED LIKE AN IPA WITH GALAXY HOPS MADE IN COLLABORATION WITH YARDS BREWING CO.
RASPBERRY CREAM ALE BREWED IN COLLABORATION WITH DUCLAW BREWING CO.
HOPPY, MALTY, HONEY-FERMENTED COLLAB WITH LOCAL HOMEBREWER ANDY VASBINDER. WEST COAST STYLE RED IPA DRY-HOPPED WITH CITRA, SIMCOE AND BRAVO HOPS WHICH PROVIDE A MODERATE BITTERNESS AND LIGHT CITRUS FINISH INTENDED TO COMPLEMENT YOUR FAVORITE WING FLAVOR OR BURGER. A SPICY LEMON GRISETTE BRIMMING WITH A HUGE BLEND OF HOPS. BREWED FOR FFEJ OF JULY 2014, FFEJ GOES TO 12!